Sometimes people ask me whether I’m busy and with what. Well, next to my “normal” job consulting, designing, implementing and troubleshooting Exchange, Office 365 and some other stuff. Next to attending events and such, I also contribute to them. The 31st of October there will be an Exchange day in the Netherlands, organized by the Dutch IT Pro group NGN. Together with Jaap Wesselius, Kay Sellenrode, Johan Veldhuis, Jetze Mellema, Michel de Rooij and Ashley Flentge we will have full day with sessions, but also interactive session and an expert panel. 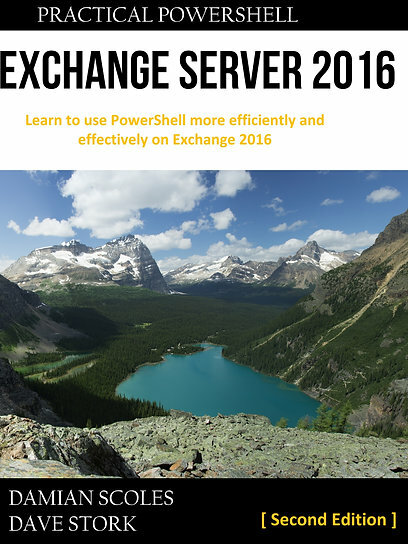 I’ll be giving an Exchange 2013 architecture session and I’ll try to transfer some Microsoft Exchange Conference 2012 goodness for those who couldn’t attend. For more information check this page. Two weeks back the company I work for, OGD ICT Diensten, had a Windows 8 event called “Samen Slimmer met Windows 8”. Translated from Dutch to English it would be “Smarter Together with Windows 8”. Though I didn’t present, I was present in the exhibit hall waiting for Exchange and Office 365 questions. Well, not really waiting because I was practically busy all day long! You can see me in the above picture being busy making the final touches to my demo setup: Exchange 2013 on Windows 2012. The iPad was to demonstrate the awesome new OWA2012 also optimized for tablets (I do plan to blog about OWA some more). That green light thingy is my Busylight for Microsoft Lync . And yes, this is the event were I took those pictures of the Samsung ATIV S Windows Phone 8. I felt it was a successful event and certainly deserves a follow-up. See a video impression embedded below (dutch) and some dutch articles mentioning the event (here, here and here). Furthermore, I’m currently involved in The UC Architects project, a bi-weekly podcast about Exchange, Lync, Unified Communications in general and other stuff as well. In most episodes I’m either contributing, producing or doing both. Though recording and everything around it takes about 2 to 3 hours, it isn’t much compared to the amount of work the editors have to do (separate recorded high quality streams merging into one in-sync). So, kudos to Steve Goodman and Michael van Horenbeeck. Currently there are ten (however, one is a double feature) episodes and the recording of the eleventh is being planned. Certainly worth checking out! Listen to episodes via the website itself or via your favorite podcast player. Keep an eye on the website for future episodes or subscribe on the podcast via iTunes, Zune or RSS.